Getting wine experts to agree on what temperature you should store wine at is like pulling teeth. I know one collector who has his cellar dialed to a precise 55 degrees at all times, and is convinced his bottles will spoil if the temperature spikes by even 5 degrees. Yet I know another collector who was born and raised on a Languedoc vineyard, and who believes that as long as her cellar stays relatively damp and cool, the precise temperature doesn’t matter. Who is right? 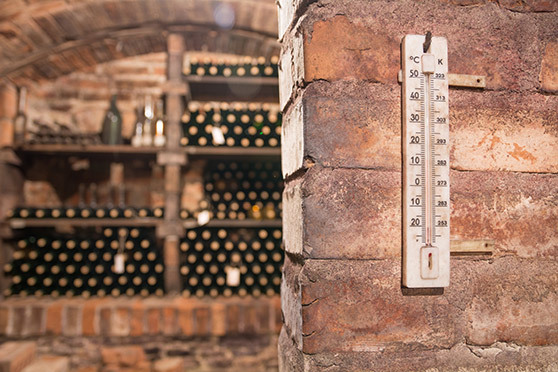 The truth is that the temperature at which you should store your wine and the ideal humidity of your wine cellar depend on how long you expect to store your wine and your location’s natural climate. Learn more. Knowing that long-term sun and heat exposure quickly spoils wine, how do you prevent these problems? To start, only store your bottles in a space that doesn’t have any windows, like a basement or home wine cellar. Even if you think your bottles are safe sitting in a dark corner of a room, indirect sunlight can still reach them when there’s a window nearby. If you have no choice but to store your wines in a room with windows, at least install UV-protectant glass, and keep the room’s temperature at a constant 55 degrees. Learn more. Fine wine is fragile and valuable, which is why wine cellar security is so important (especially for parents of rebellious teens). On the whole, the wine market is increasing in value, which means that it is worth the investment to keep your bottles safe. 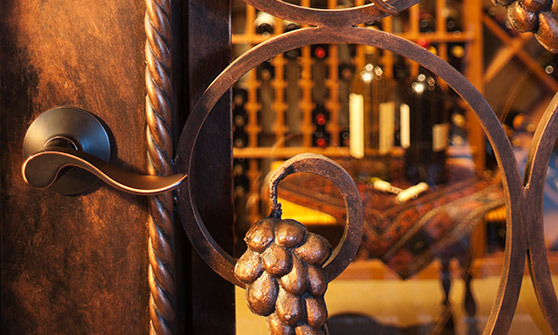 Having an updated security system protects your wine from potential damage, which further improves your investment opportunities. You wouldn’t keep stacks of money in an unlocked basement, so why would you keep your most valuable wine bottles in the same situation? Learn more. There's no way to completely ensure that earthquakes don't damage your wine collection. However, you can lessen the amount of damage they cause by installing durable wine rack cabinets that keep your bottles locked in place. The best cabinets and wine rack styles will stand still during a quake and keep your bottles from rolling out onto the floor and shattering. Foam or rubber padding wrapped around your bottles will also absorb some of the earthquake's shock to lessen vibration. Furthermore, you can install a backup generator to make sure your temperature control unit keeps your bottles cool even if the power goes out. Finally, consider earthquake insurance for your collection. If your wines are damaged during a quake you might lose those bottles, but you won't lose your entire investment if you are insured. Learn more. It’s easy for collectors to feel overwhelmed by the amount of wine they purchase every year, but adding more storage space can be like curing a cold with a bandage; collectors think they’re helping, but they aren’t getting to the root of the real problem. Spring releases pile up year after year, further exacerbating the problem. When a cellar becomes over-capacity it becomes non-functional. Learn more. When wine critic James Suckling gives you the title of “world’s greatest wine collector,” you know you are doing something right. Collector Henry Tang earned such a title when Suckling visited his personal cellar in 2013. 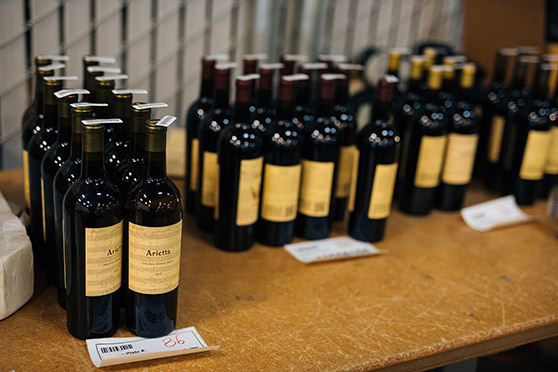 Tang’s cellar was meticulously organized by each Burgundian producer in his extensive collection, which made it simple for Tang to auction off a portion of the wines in 2013. Not only did Tang believe in producer-focused cellar organization, he also believed that each bottle needed its own verification that it originated from his collection. 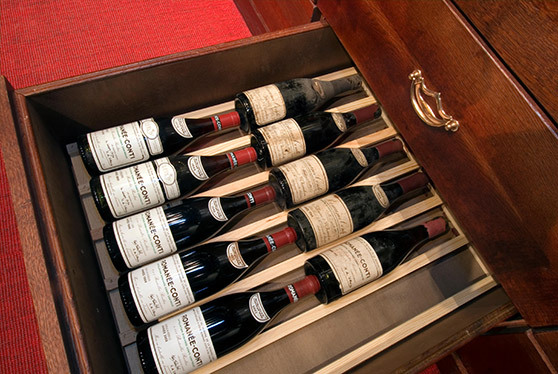 Every bottle sold at the auction that year came with a customized bubble seal that said, “Henry Tang Collection.” Tang is perhaps best-known as one of the finest collectors of Burgundy and Rhône wines largely because he always knows exactly which bottles are in his collection, and where they are located. Learn more. 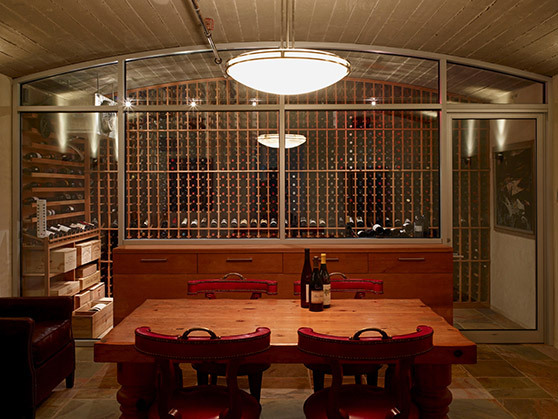 You might be thinking, “I have an entire basement cellar that I can fill with wine. 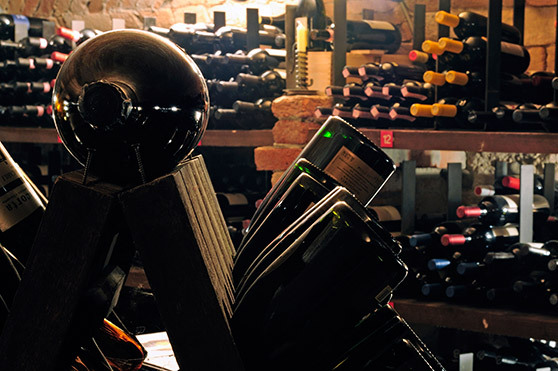 Why do I need to condense my wine storage to take up less space?” Well, as we have learned from wine cellar organization experts, just because you have a home cellar doesn’t mean you’ll always have space for more wine. 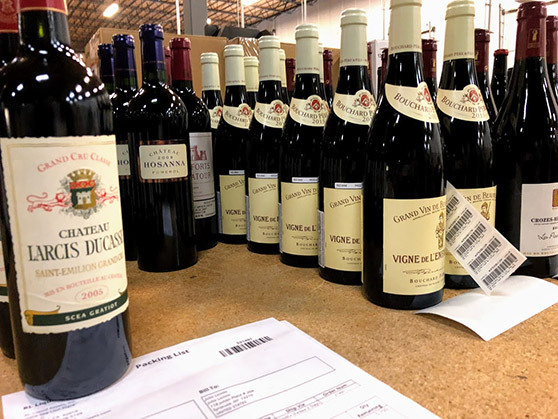 Vinfolio’s Derek Cienfuegos says that the most common pattern he sees with wine collectors of all experience levels is the constant wish to buy more wine, even if the collector has already filled a cellar to the brim. Learn more. 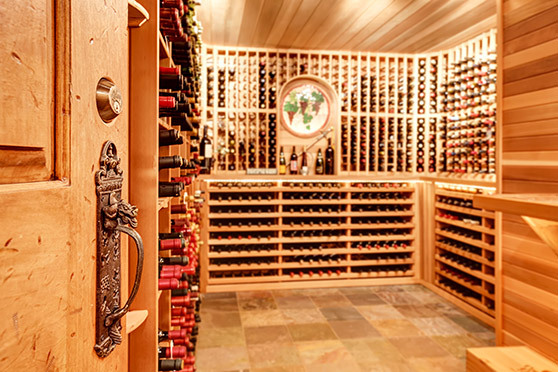 In an ideal world you'd never have to organize your wine cellar more than once in your lifetime. 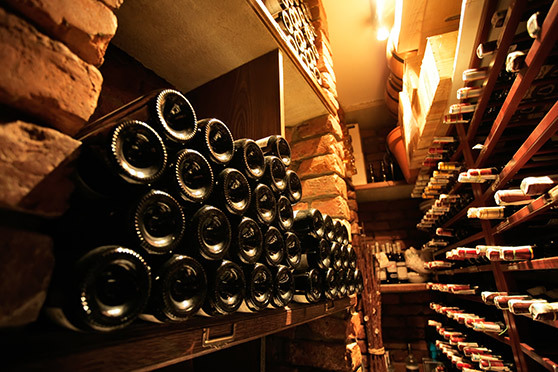 The best cellars keep themselves organized via barcode systems or online applications that keep track of every bottle. However, it is still helpful to organize your cellar about two or three times per year to make sure your system is working. You should go through your cellar once in the early spring and once in the fall before your new wine allocations start to arrive. This will help you decide whether you have room for all of that new wine. In addition, you can check over your cellar once more in the early summer to make room for seasonal summer whites, and to ensure that your cellar is consistently maintaining a temperature of about 55 degrees before the weather gets too hot. Learn more. Barcodes, when combined with cellar tracking systems, help serious wine collectors record and identify every last bottle in their collection. Apps that use their own barcoding systems are the most accurate because they don’t rely on the winery’s original barcodes to identify a wine. 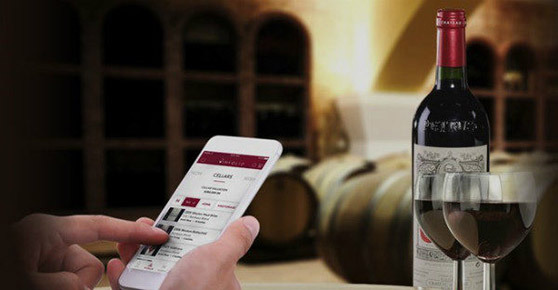 The most advanced of these apps, such as Vincellar, empower you with a plethora of information including cellar valuation, drink dates, reviews, tasting notes, bottle location, and more. Learn more. A lot of things go into collecting wine. Beautiful cellars with dramatic show cases, cunning social jiu-jitsu that lands you on that exclusive distribution list, fun social events comparing wine knowledge with a fellow collector. But one of the more mundane elements is individually identifying every bottle in your collection. Each bottle is truly unique and takes on a life of its own after leaving the winery. Currently, the most practical and convenient way to keep one bottle distinctly identifiable is to give it a number and put that number on the bottle… a.k.a. “barcode” it. This fundamental tracking tool is not to be taken lightly. Learn more.